Drink: Well Mulled wine of course. 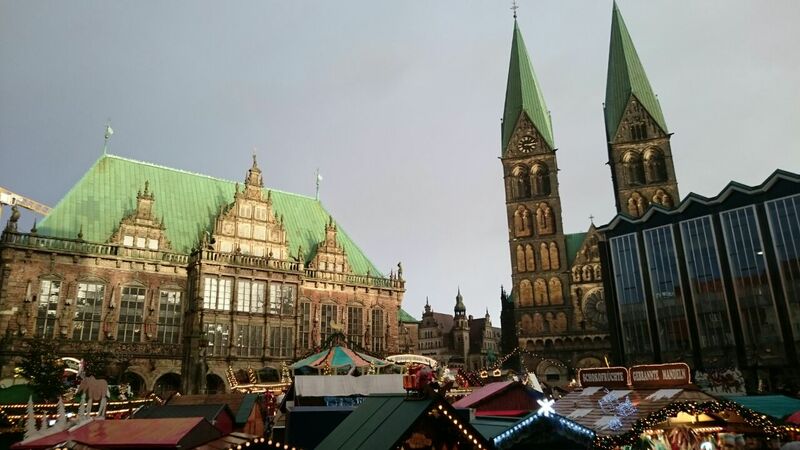 Germany is so cold but the germans are brave and love the cold. Most markets will be outside so besides a thick layer of clothes you will need something else to keep you warm. The hot wine comes in all different kinds, red or white, with or without rum or amaretto, or sometimes in many different flavours (apple, raspberry, strawberry etc etc). Sometimes you can also find alcohol free… It will definitely keep you warm. Price: It is more expensive than going to a bar but it’s definitely worth a try. 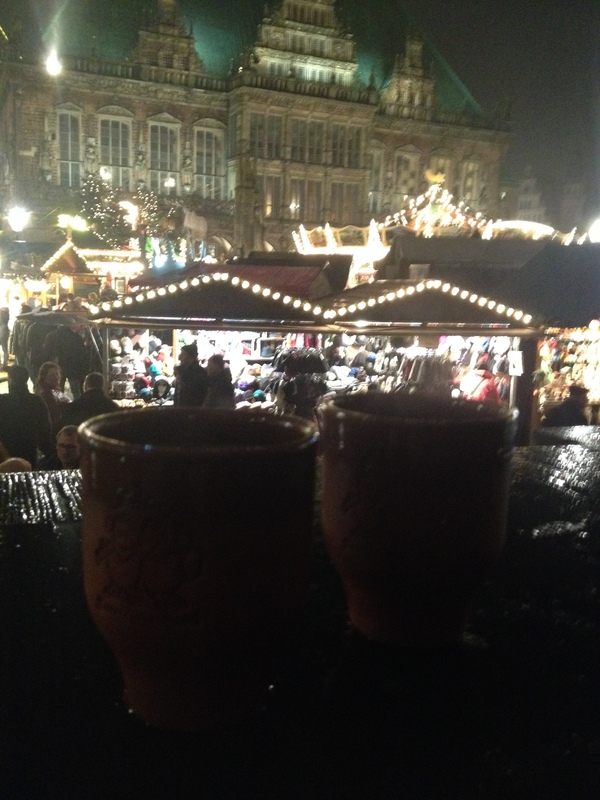 Price always depends on the city too as well as the kind of mulled wine. Keep also in mind that most of the time you will have to pay a deposit for the glass. They are very popular and disappear quickly so the owners try to protect them. You’ll get the money when you return the mug. 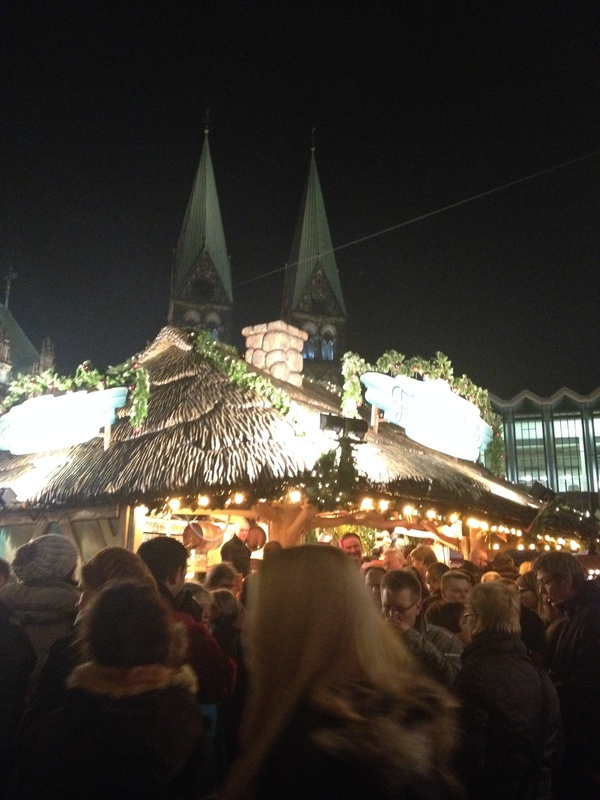 This entry was posted in Germany, Places behind Drinks and tagged Bremen, Christmas Market, Drinks, Germany, mulled wine, Tourism, Travel. Bookmark the permalink.